Experience the intensity of being the world's top secret agent. 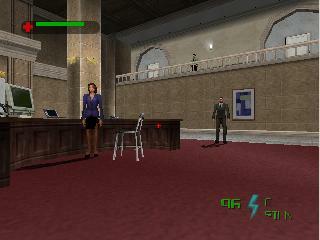 Playing as James Bond, you'll accomplish mission objectives while using your License to Kill any bad guy in your sites. Crouch, jump, swim, climb, and run through each mission. There are three difficulty settings, each one making the bad guys tougher while adding mission objectives. Choose any character from the single-player mode, designate players controlled with artificial intelligence, and customize the match's settings: starting arsenal, weapons available for pickup, health power-ups, and match duration. Are you cool under pressure? Deadly when necessary? Of course you are -- you're Bond...James Bond. Please note: This is the Blue Cartridge version of this game. This brings me back to a better time. Cherry coke, Jack's pizza, 3 buddies up all night, proximity mines in the stacks. Multiplayer vs bots makes this game a must own!!!!!! game works great and in good shape. I thought this game was a sequel to goldeneye by rare, guess not... (EB games should of stick to sports on the n64). 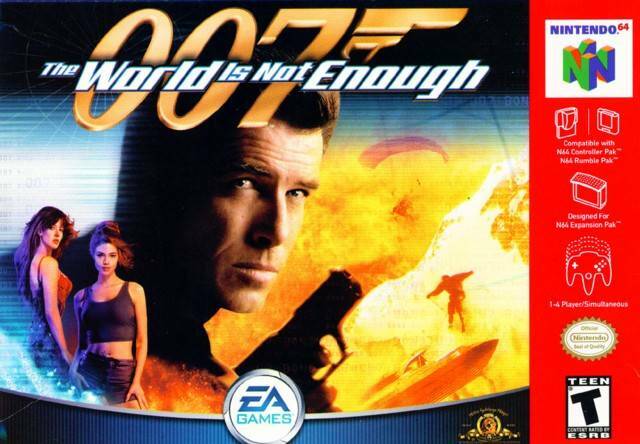 In my opinion this game is nowhere near comparable to goldeneye or perfect dark. I remember playing this on the N64 as a kid all the time, the single player was a fun experience. It has gadgets, weapons with second functions (single/burst fire), but what kept me coming back is the multiplayer. The ability to add AI bots to your match was always a plus when you didn't have friends around and different game modes allowed for this game to be plugged in all night. Highly recommend this title for N64 users. This game is great. It makes me feel like I'm right in the middle of the action. I already had Goldeneye but getting this has furthered my skills in both games. I'm sooo happy with the 3 games that I got from this site. Keep this site going and I will be ordering more games in the future. 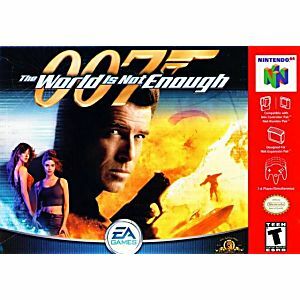 one of my favorit 007 games ... the would in not enough is a great and fun game playing with fun going solo or just messing around.. with all the extra charters you can unlock ... like the one that can walk though walls :)any ways i say get this game and remamber " Get N or Get Out"